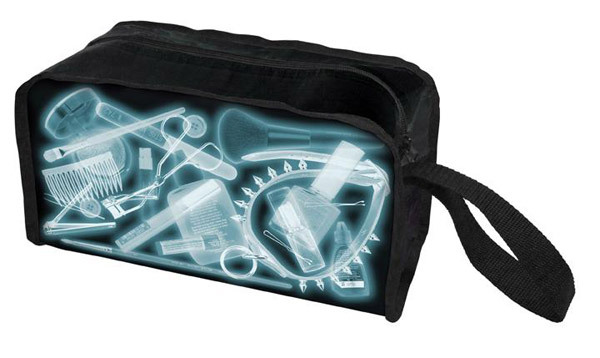 Each Xposed X-Ray bag has different items showing the bag’s intended use. Take the Xposed Grocery bag. It has all the makings of a nice meal: bread, dressing, grapes some aluminum cans. But there is also a gun. It’s like a modern day Where’s Waldo handbag. The tote bag has a bottle of Jack Daniels and some brass knuckles among other surprises. This should attract some attention at the bank or post office.